Description: Scots pine is an evergreen tree that can reach a height of 1oo feet. It is found in forests and in meagre, sandy soil. Both male and female blossoms are found on the same tree. 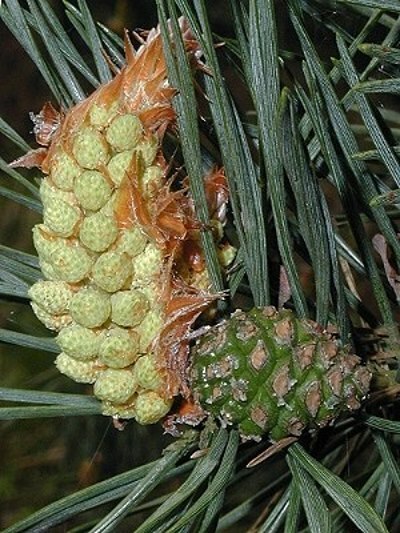 The male blossoms form a cluster of small yellow beads and the female cone-shaped red blossoms. It blooms in May. One reproaches oneself, has feelings of guilt. One blames oneself for everything.